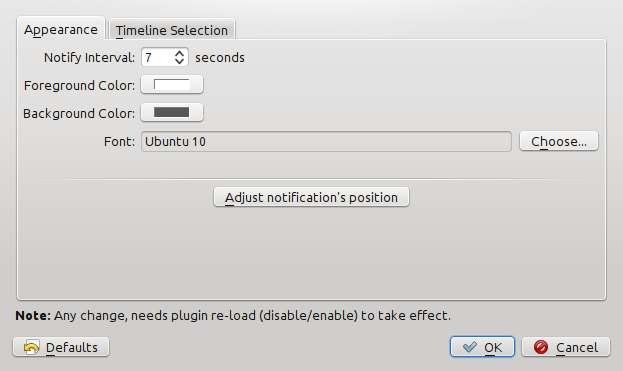 I would love if the user could choose kde notifications, every application having its own notifications system defeats the whole idea of having a unified notifications for KDE. so you wrote this, making the user experience more of jumbled mess with multiple notification queues that have be configured in N different places, instead of working with us to improve the system-wide notifications so they work for an application like choqok better? this makes zero sense to me, and definitely does not scale out to other applications. 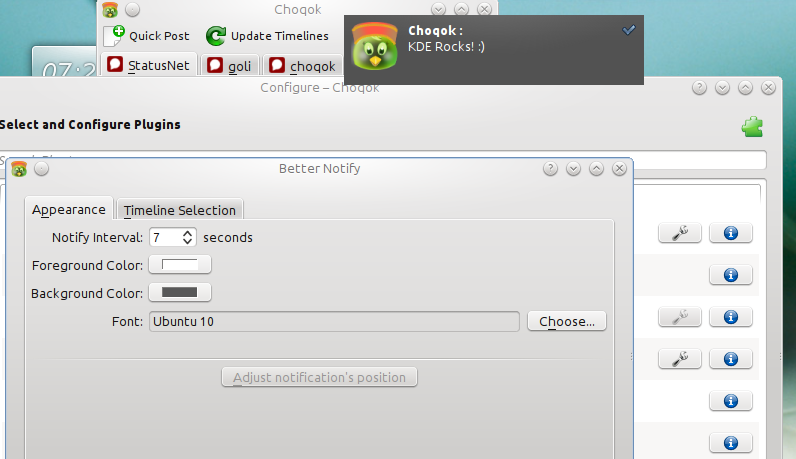 i would suggest that you write a list of choqok requirements for notifications along with explanations for each so we can understand them better, then send that to plasma-devel at kde.org and we can work on improvements there. btw, someone is already looking into notification improvements at the dev sprint this week in spain so this would be a great opportunity. I didn’t mean that your works on plasma has problem. I thought maybe KDE Notification system should remain as current state, due there could be bunch of notifications from everywhere there (that could not wait for others to go away), so the way you are showing them, is OK.
Not to pile on with what others are saying, but I prefer all my notifications in one place – it’s what I love so much about KDE 4. 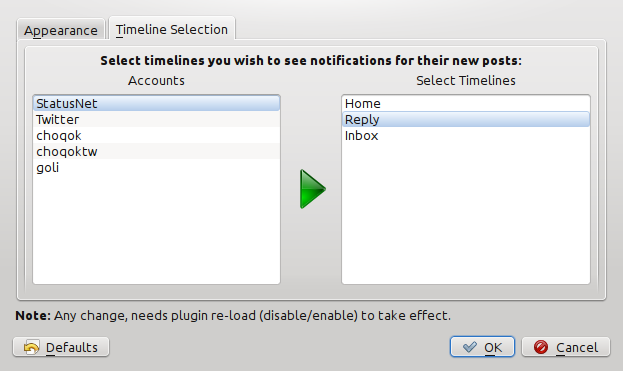 Perhaps an option to use KDE notifications vs the one you implemented? That way it’s the user’s choice. Anyway, you can undo the overlap by mousing over the message. AND, with the KDE notifications it holds everything until you click “X”, so it’d be a nice, quick way to read over the choqok messages. I know I’ve wanted something like this for a while vs having to check and see if the tweets/dents are something I want to engage with. Anyway, I hope you’re able to also make it work with KDE notifications. I love the work you’ve done with Choqok – it really is top notch.